A.Y. NOT DEAD is the paradigmatic brand of this generation. In 2003, its designers and trainers presented the collection “Le freak c´est chic”, which was the most innovative of its kind. In 2004, A.Y. NOT DEAD opens its first store in Palermo Viejo, and at the end of 2006, opens its second location in the Recoleta neighborhood. In 2007, A.Y. NOT DEAD opens in Paseo Alcorta its third unique selling point. 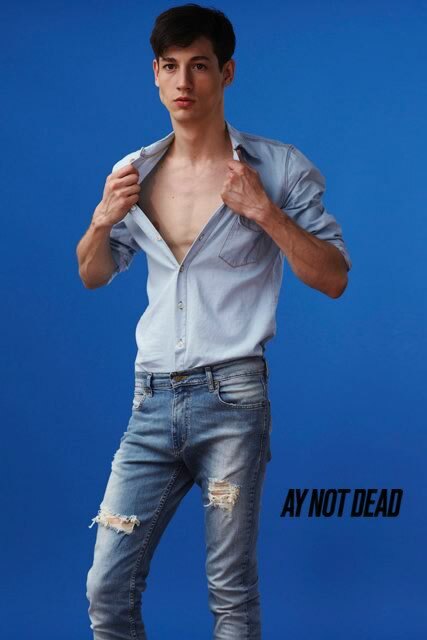 Inspired by the rock, art, and reality of South America, and owner of an original language, AY NOT DEAD has worked with many leading artists and designers from Argentina, in their quest to deliver a message of renewal. The brand has caught the attention of Argentine and international media. Was mentioned in Vogue, Wallpaper, Vogue Brazil, Collezioni, Neo (Spain) and various German magazines. The Wallpaper magazine referred to AY NOT DEAD and three designers from Brazil, as “talented young designers whose names are in everyones lips”. The winter 09 Collection of A.Y. NOT DEAD was purchased by the prestigious London store Selfridges. Thus, the brand became one of the few Argentine companies to sell in England with a special corner and a window which displays their products. Several musicians use their designs for their shows and videos, among others: Gustavo Cerati, Soda Stereo, Babasónicos, Emmanuel Horvilleur, La Portuaria, Karka and Capri.